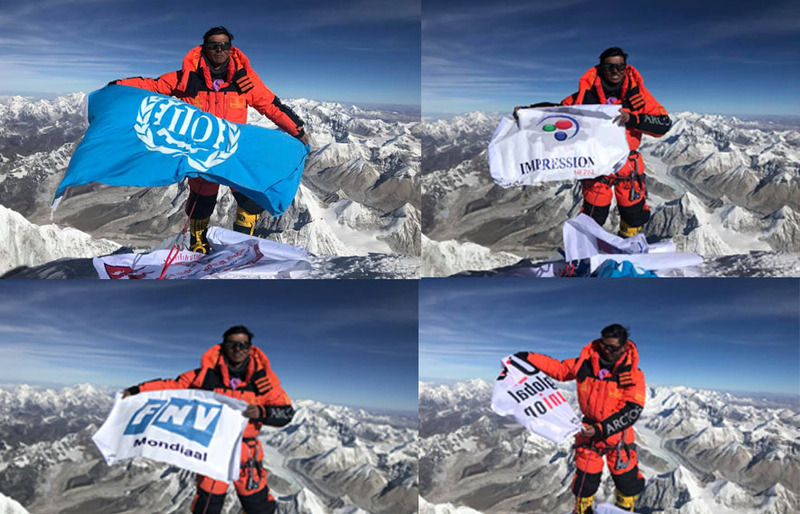 UNITRAV Central Committee Member and Mountaineering In-charge Mingma David Sherpa has waved Flags of IMPRESSION Nepal, ILO, FNV & UNI-Global at Mount Everest. Sherpa has successfully climbed Mount Everest on 21 May, 2018.This is his sixth submit to Mt. Everest. Earlier, organising the farewell programme, GEFONT has extended best wishes for his successful Everest Expedition.